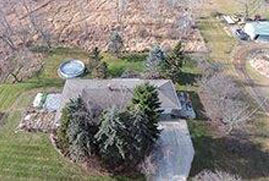 This well-maintained country property is situated on 4.82 acres and has many beautiful features! This home is complete with refinished hardwood flooring, fresh interior paint, open spaces. Enjoy the cozy living room with wood burning fireplace, bay window and ceiling fan. 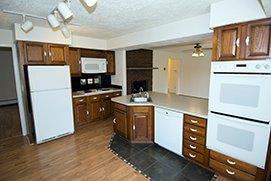 The eat-in kitchen has plenty of counter space for easy meal prep, ample cabinetry, and double ovens. Relax on the porch, equipped with a wood stove for chilly days. Step outside and enjoy the large deck, fire pit and spacious yard. This home features three bedrooms, including a master suite with a walk-in cedar closet and updated bathroom. The additional bedrooms and bathrooms are comfortable for family and guests. As a bonus, there is a 1,200 sq. ft. barn with three horse stalls and a tack room plus a separate outbuilding perfect for storage. This Ann Arbor Area Real Estate is a must see!